Building a highly accurate robot is not trivial yet we can perform fine positioning tasks like threading a needle using hand-eye coordination. 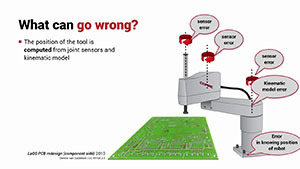 For a robot we call this visual servoing. 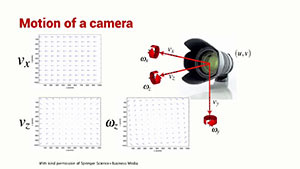 Visual servoing is concerned with the motion of points in the world. 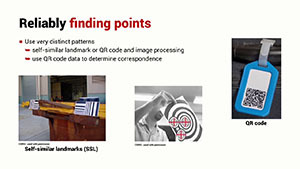 How can we reliably detect such points using computer vision techniques. 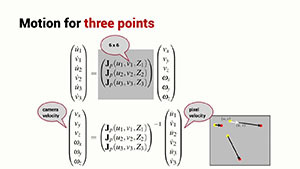 It is common to think about an assembly task being specified in terms of coordinates in the 3D world. 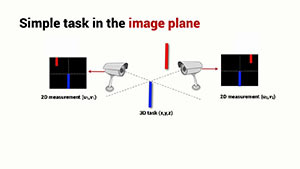 An alternative approach is to consider the task in terms of the relative position of objects in one or more views of the task — visual servoing.